Bill’s spacing out again… this time with the planets. It may be the planet we’re living on, but the Earth is not alone in our solar system. We have eight other planetary neighbors – Mercury, Venus, Mars, Jupiter, Saturn, Uranus, Neptune, and Pluto. We can see some of the planets with just our eyes on a clear night, but to get a good look at other planets, astronomers have to use powerful telescopes. We know the planets are out there because they bounce light from the Sun into our eyes here on Earth. All the planets are moving around the sun at different distances and at different speeds. They all move in paths, called “orbits”, that are shaped like a gently squashed circle. This shape is called an ellipse. Mercury, Venus, Earth and Mars are relatively close to the Sun. Neptune, Uranus, and Pluto are pretty far away. Jupiter and Saturn are huge and in between. Gravity keeps the planets moving around the Sun in their elliptical orbits. Each planet is different. They are all different sizes – Pluto’s the smallest, and Jupiter’s the biggest. They come in a variety of colors – Mars is covered with rust, so it looks red; the methane (cold natural gas) in the atmosphere of Uranus makes it look blue; and Saturn’s colorful rings are made of icy rock. As far as we know now, Earth is the only planet in our solar system that is home to living things. 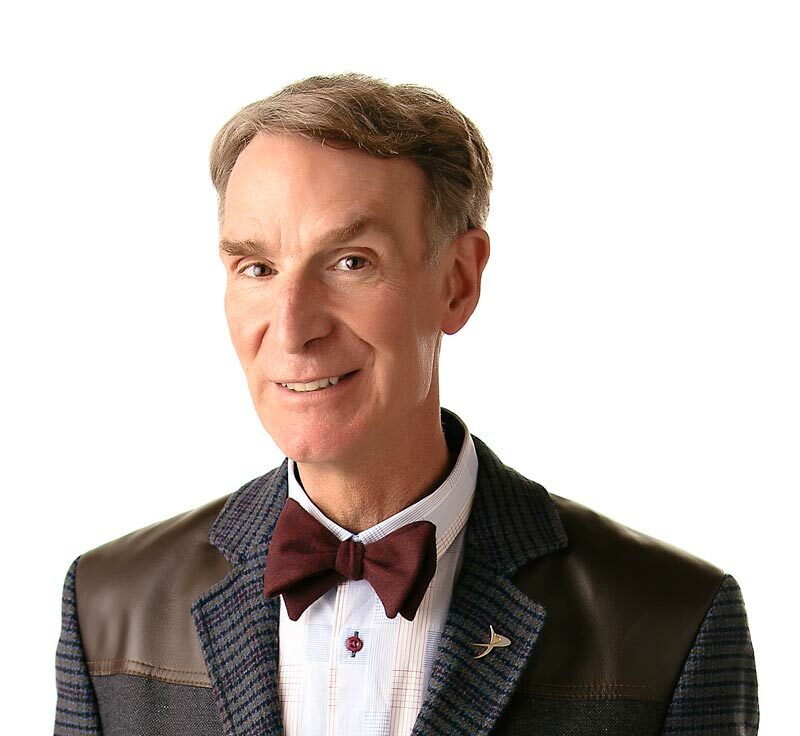 Be Bill Nye’s planet pal – watch “The Planets and Moons” episode. Planets and moons shine due to reflected sunlight. All planets, including the Earth, go around the sun in orbits that are almost circles. The nine planets are different sizes, are made of different things, and look different, too. Some scientists think there are other objects in our solar system orbiting out past Pluto? Olympus Mons, the biggest mountain in the whole solar system, is on Mars? One day on Venus takes 243 Earth days? “The Planets” by Patrick Moore. Published by Cooper Beech Books, 1995. “Planets, Moons and Meteors” by John Gustafson. Published by Julian Messner, 1992.